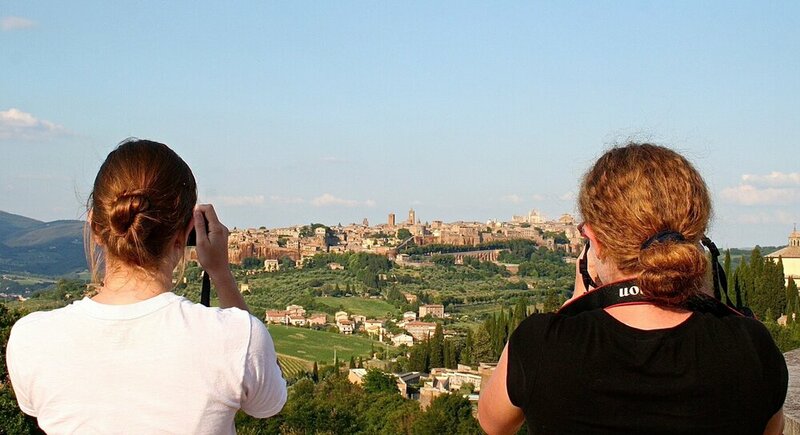 "a hunk of tufa surrounded by lots of air"
WHY STUDY ABROAD IN ORVIETO? The town of Orvieto is located in central Italy, in Umbria, the region known as "the green heart of Italy". It stands high on a tufa plateau with cliff walls falling sheer to the valley below. 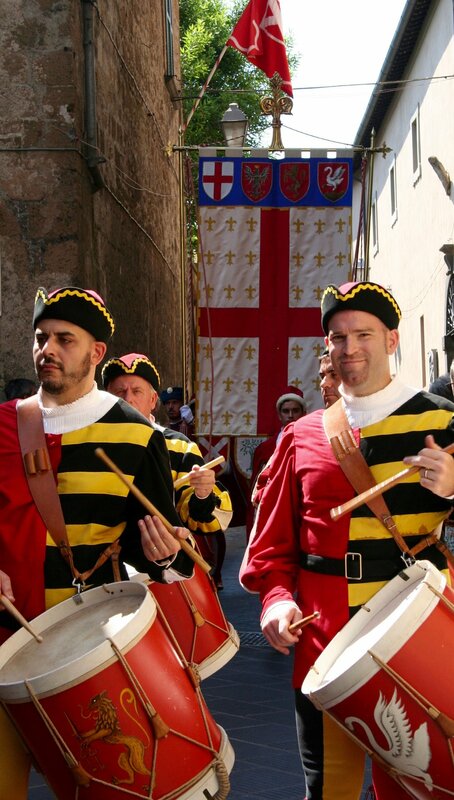 Considered by many travelers to be one of the world's most beautiful towns, Orvieto combines Italian small town friendliness and atmosphere with the beauty of the Umbrian countryside. It is also one of the great centers for Italian art and archaeology. Surrounded by treasures from the Etruscan period, Gothic era, the Renaissance and the 19th century, the student has the entire town as a living classroom. The Study Center is located in the Negroni Palace, a few steps from Piazza del Popolo. Each Thursday and Saturday, in the morning, the square fills up with the local farmers market stands, selling fruit, vegetables, cheese, bread and more. The Center currently includes classrooms for Arizona in Orvieto, an administration office and a front-desk office for student inquiries. Abundant shopping and many restaurants and cafes are immediately adjacent. Gym structures and a swimming pool (located at the scalo - the sub-urban area) can be used and booked at a reduced rate.